If you are looking for something to make your pup happier and more comfortable or if you’re just searching for a present for a pet owner friend, then you should consider dog mats and blankets. These are, after all, some of the most in-demand dog products out there. Any dog deserves to feel cozy and warm at all times, and if you are interested in finding the most suitable blanket for them, then maybe you should take a look at these five really cool covers we found. Made of ultra-soft plush material, this 45 by 30-inch blanket is guaranteed to keep your dog warm and comfortable. It comes in ten different color combinations, so there are plenty of options even for the pickiest of pups. Besides, this product is very easy to clean and maintain as it can be cleaned in a washing machine. The KritterWorld Sherpa Pet Blanket is reversible, having two sides, each with a different texture: a fluffy one and a velvety soft one. 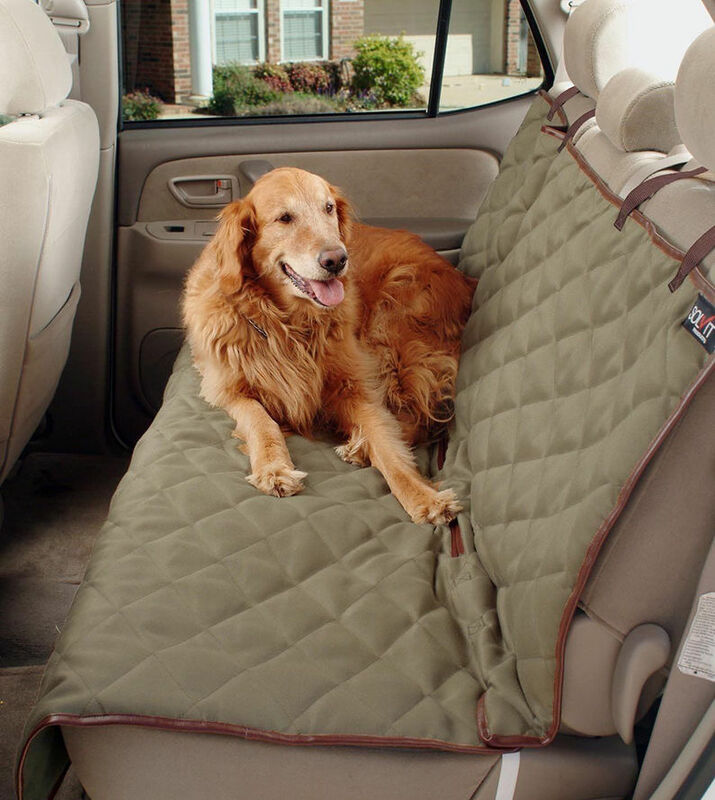 Whether your dog is a real couch potato or a very active one, he or she will love this durable, cozy cover. This fleece, lightweight blanket amazes with a cute paw-print design and a fine texture. It’s available in two colors – grey and tan, and it’s free from any harmful chemicals that can put your animal’s health in danger. Given the cover’s fantastic absorbing ability, your pet is guaranteed to be permanently dry and clean. The RZA Pet Blanket is a true space saver as it can be folded or rolled up and carried along anywhere. It’s suitable for pet beds, couches, window sills, cars, dog houses and even for the outdoors. Manufactured from high-quality material, this sturdy cover will last longer, and it will not fade easily. Give your pet the warm and cozy blanket they deserve for their bed or sleeping space with the Premium Blanket from PetFusion. You can find it available in four sizes, from small to extra large, but it is mostly suitable for medium to large dogs. The blanket has a stylish design, and it comes in neutral colors so it will blend seamlessly with your home and it will protect your furniture from scratching, chewing, and unwanted dog hair. It’s also very easy to clean as you can wash it in a washing machine. This soft cover also comes with a 12-month warranty for any issue resulting from a manufacturing defect. The adorable design alone could convince you to purchase this well made, plush blanket for your pet. There are three colors to choose from (blue, gray, and pink) as well as three sizes (small, medium, and large). The PAWZ Road Blanket is double-sided, and it’s ideal for both travel and naptime. Not only is keeping your pet warm and cozy, but it also protects your furniture and upholstery from scratching and dog hair. This cute, long lasting blanket is machine washable as well, ensuring you will not have to spend too much time or make too much effort cleaning it. Having a dog is a big responsibility, especially if you commit to it from the early stages of “puppyhood”. Apart from proper food and constant visits to the vet, your puppy will also require plenty of attention, care, and love. Not to mention numerous accessories to keep its mind occupied and help it properly develop and become a smart dog. And even though you might consider toys as the first choice for your dog accessories, we also suggest paying close attention to the place your puppy will be spending its nights. It is not a good idea to have your dog sleeping in the same bed as you, but designing a perfect bed covered by a fluffy blanket could prove the smart move. If you plan on looking for cool dog blankets but don’t have the actual time to go through stores, the following comprehensive shopping guide will help you make the right move and choose the best available blankets for your pup or dog. There is a series of features you should look for when searching for the perfect dog blanket. Aside from a convenient size, the blanket should also be thick enough and fluffy enough to keep your dog warm during the winter, but also soft to feel like someone is constantly hugging and caressing it. Picking the best blankets for dogs could prove a challenging task, especially since there are so many options available on the market. Read below to find the top characteristics you need to look for when searching for the best dog blankets available for sale in stores. If you want a regular dog blanket for year-round sleeping, buying a fleece one is a perfect choice. No matter your dog’s breed, a fleece blanket will keep your pup warm enough during the colder seasons and will also provide enough softness to sleep well. This is definitely one of the best material for dog blankets as it is extremely lightweight but super soft, comfortable, and warm in the same time. There are plenty of patterns and colors available on the market, but these features will not directly benefit your dog, but more your own personal choices. However, we do suggest picking up darker colors or shades of brown if you want the blankie to look clean as new for a prolonged time. There are plenty of options available on the market, so going through some dog blanket reviews might give you an insight on the exact model and pattern you want for your four-legged bud. your dog’s size unless you want to replace it every year or so. Also, keep in mind that dogs tend to get very attached to their personal belongings, so it is best to buy a fitting size according to the weight and height of a full grownup dog. The best way to wash dog blankets is to put them in your regular washing machine but without using harsh chemicals or bleaching materials. Keep in mind that a dog’s smell is very sharp and it may not recognize its own things if you change the smells too often. Thus, we suggest opting for organic cleaning products with natural smells and no added chemicals. If you could buy a detergent without any perfumes, like the ones used for washing baby clothes, it would be best. As the season gets warmer and the days become longer, you will have more time to play outside with your dog. However, during the hot summer nights, a fleece blanket is not the best option, especially if your place doesn’t have A/C or you live in a highly humid atmosphere. Thus, to make sure your dog reaches the proper body temperature and gets proper sleep during the night, we suggest opting for a cooling blanket. These new dog mats will keep your pup cool and dry during the hot season and will perfectly regulate its body temperature to an optimum functioning level. You can compare dog pads from different brands and choose the one that is perfect for your own pup. What we like about these cooling blankets and mattresses is that they feature a gel technology which absorbs body heat, while also providing a proper cushion for puppies with joint pains. Moreover, these blankets won’t cost a fortune so you can purchase a decent one for just about $10. Most self-cooling mat pads offer up to three hours heat relief, are easily foldable, lightweight, and, most importantly, are made from natural, non-toxic fibers and fabrics. On the opposite, if the fleece blanket doesn’t provide enough heat during the winter season and cold days, you can always opt for a heated dog blanket. These are similar to the ones manufactured for people, except coming in suitable dog sizes. These blankets are also suitable for pups that like to sleep outside or in the colder corners of your house, even on the balcony or terrace. Search for heated blankets that don’t exceed the natural body temperature of your dog to prevent overheating or burning incidents. Also, blankets made of orthopedic foam will be more comfortable and will provide the perfect support for your dog’s bones during the night. Most such dog blankets won’t cost you a fortune either – you can purchase a good one from a reputed brand within $30. If your dog has bone problems, arthritis or recovers after injuries, the veterinarian may suggest choosing specific heating blankets that reach a temperature of above 102 degrees Fahrenheit. If you are dealing with a messy pup who loves leaving wet traces all around your house and furniture, opting for a waterproof blanket could be your pocket-friendly salvation. 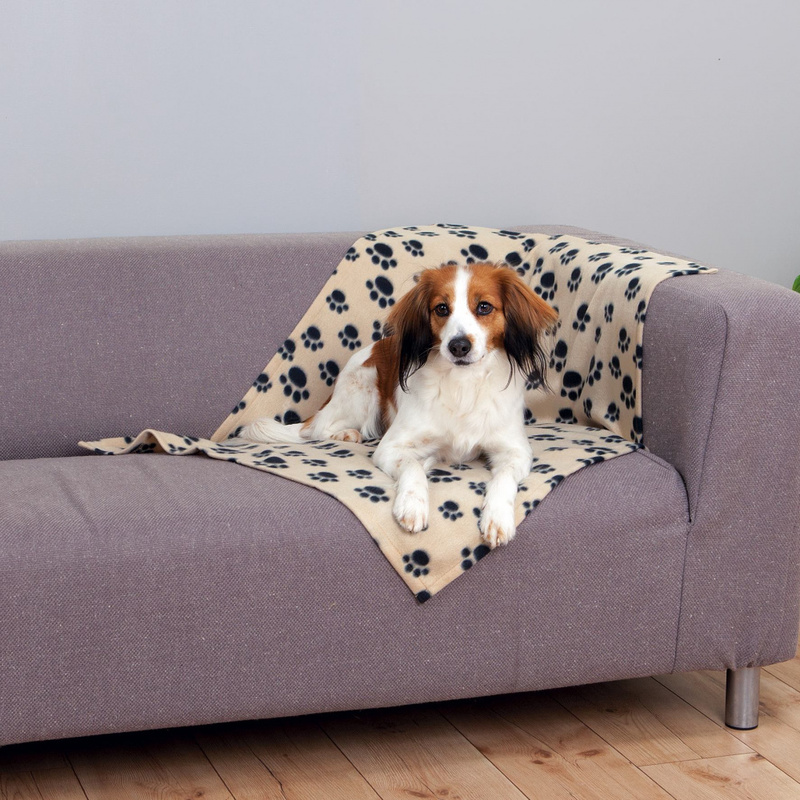 These blankets are 100% waterproof so that your chairs, sofas or beds remain clean and dry even if your dog loves spending the time with you. They are also the perfect coverage against excessive drooling or licking from your dog.